Finally, mathematics once again left me with something interesting, strange, but i won't say unexpected because nothing is impossible, at least with mathematics. 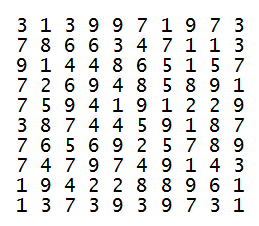 … each row, column, and diagonal is itself a reversible prime. Discovered by Jens Kruse Andersen.